Choices seem limitless these days, including the material available for countertops. 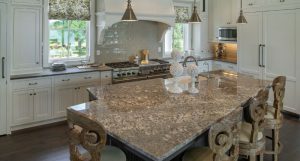 If you’re reading this article, you might be aware of the benefits of using granite for countertop surfaces. It is beautiful, durable, and no two pieces are the same, so your countertop will truly be one-of-a kind. For those of you who have firmly decided on granite, congratulations on selecting this timeless natural stone. The next major question, of course, is “How much do granite countertops cost?” Cost is a major deciding factor in most purchasing decisions. There are many factors that go into the process, which makes every homeowner’s situation unique. Factors include: color, dimensions, customizations, and installation costs. Where you live can also play a role in how much you can expect to pay. I reached out to an industry expert whose family has been in business since 1932. Dave Syverson, Vice President/Sales Manager of Syverson Tile & Stone in Sioux Falls, South Dakota has been in the family business since 1993. 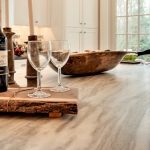 With his years of experience, he was able to offer up some invaluable advice on what homeowners should consider when selecting granite as their countertop choice. “Trust your fabricator and develop a relationship with them,” says Syverson. Syverson Tile houses a showroom, a stone yard, and a fabrication shop where it does custom work for other granite shops in the area. Syverson spoke at length about granite countertops and the many factors that go into the cost of installing granite countertops. Location impacts costs for stone suppliers. Syverson recommends shopping around, but staying local. “On the coasts, the prices on imported stone will be cheaper because of proximity to seaports,” he notes. 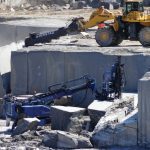 Using a local stone distributor will cut transportation costs, which can be added by the supplier if the location is out of their coverage area. 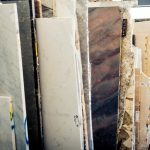 Syverson also recommends finding a supplier that will both fabricate and install your countertops, as this could lead to substantial savings on your part. Granite is found worldwide and is produced both domestically in the United States and imported from countries such as Brazil, China, Italy, and India. The type of stone you choose will impact cost. 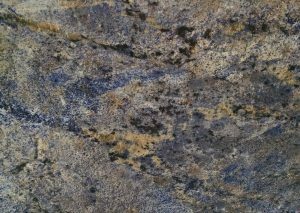 For example, Blue Bahia from Brazil is an exotic granite in high demand and can run $90-$100 a square foot, not including installation cost. 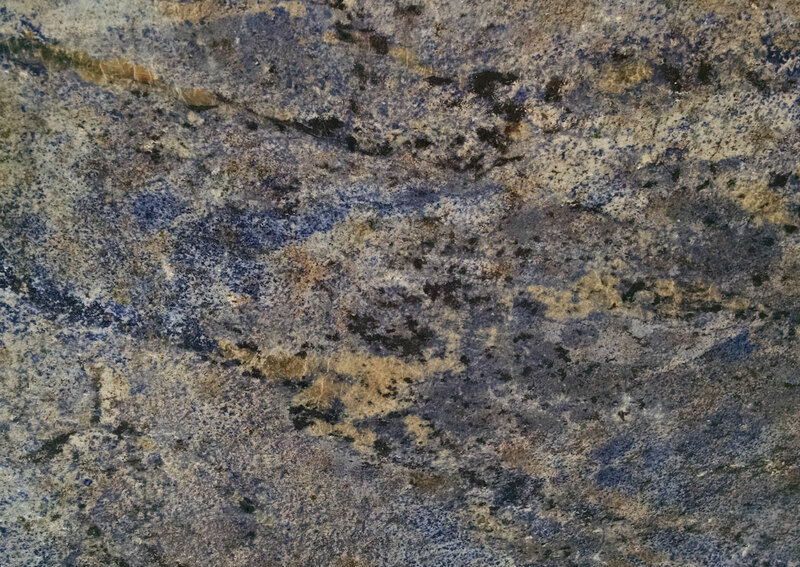 Blue granites tend to be higher priced, while white and tan granites tend to be less expensive. Local showrooms will carry a variety of choices, so keep in mind that names can vary from one location to the next. What might be commonly called Golden Ray (quarried from Brazil, gold and brown in color) at one supplier could go by a slightly different name at another location. Knowing the dimensions of your countertop is crucial. Most kitchen countertops will incorporate an L-shaped design and often include an island. You’ll also need to consider the cutouts involved for your sink, faucets, and cook tops. Prior to installation, the fabricator will come to the home and make a template of the countertops to use for cutting the granite in the shop. Smaller projects, such as bathrooms, can be considerably less expensive, especially if granite remnants can be used for the project. One of the biggest elements that factor into the price of granite countertops are the installation costs. These are typically included in the estimate/quote provided by your stone fabricator. Be sure to hire someone who is licensed and trusted. Check your quote and see if the removal of your old countertops is included in the installation. If it is not, there will likely be an additional charge for this service. If there are any electrical outlets or plumbing that complicate the removal then there could be additional charges for that as well. Make sure to have your faucets, sinks, and cook tops on site to ensure a successful installation. Backsplashes and edge treatments come in a variety of selections and can enhance the look of your countertops. Different edge types include mitered, ogee, and bullnose. Common backsplash selections are 4-inch or full height in design. Discuss your plans with your fabricator and expect that there will be costs associated with customizations. 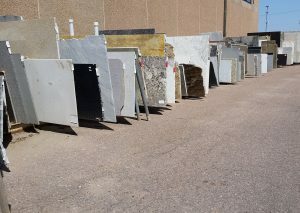 Remnant slabs at Syverson Tile & Stone. You can utilize granite remnants for smaller projects such as a bathroom vanity. Some stone yards may refer to their remnant selection as “the boneyard” because this is where leftover pieces of granite are kept. 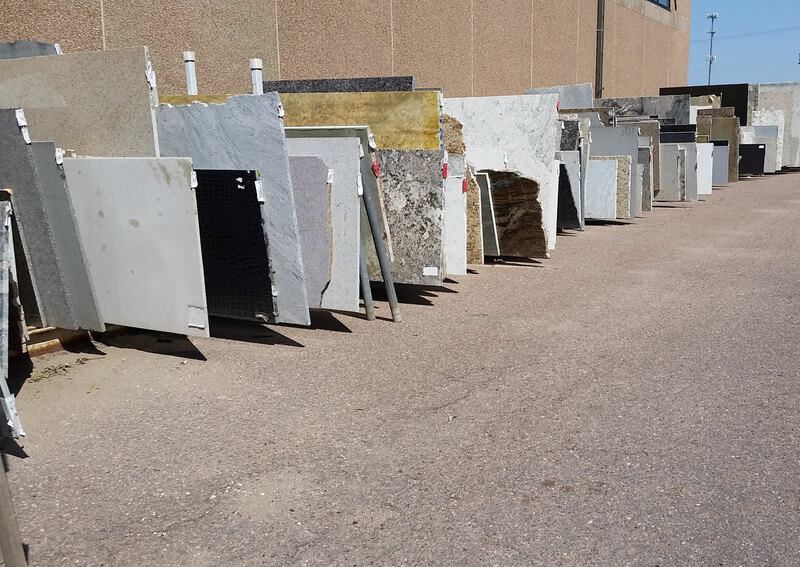 Suppliers offer deep discounts on these leftover granite slabs, so check with a local supplier when completing smaller projects and save some money in the process. 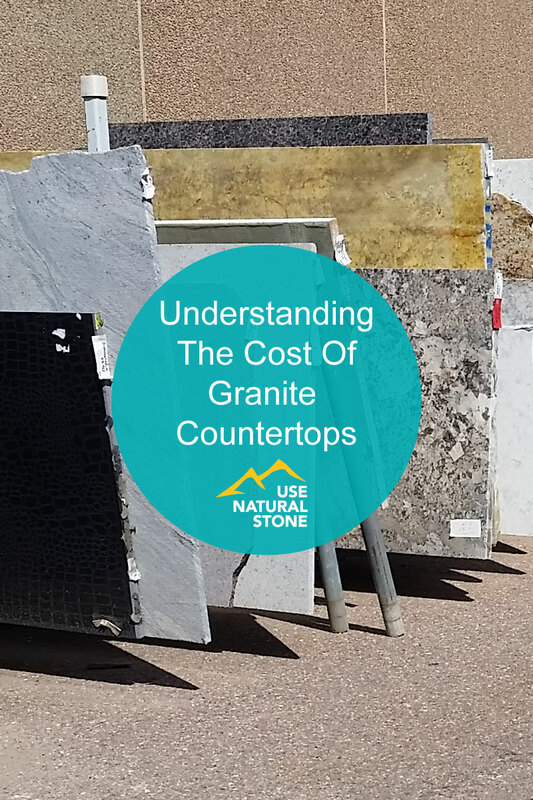 All of the above factors will affect the final cost for granite countertops in your home and should be considered carefully when shopping around. When the day finally arrives to have your granite countertops installed, you can be sure you made a great investment that will enhance and beautify your home for years to come.